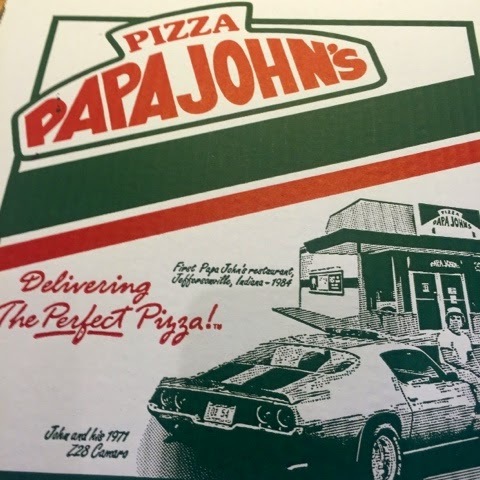 Did you know that you can order vegan pizza's from Papa John's? Their 'original' base pizza's are completely free from any animal ingredients so as long as you remove the base cheese and add some veggie only toppings then you can create the perfect vegan take away pizza! Unfortunately their 'thin crust' pizzas do contain dairy so this only leaves the option of their original base. However, this base was good and certainly not as thick as other pizza's I've tried like Dominoes or Pizza Hut. I opted to create my own pizza online and I basically added every veggie topping available, 8 in total! I wondered if Papa Johns would think that I'd made a mistake by removing the cheese so I decided to give them a call just to confirm that I am vegan. They didn't seem at all phased by my request and suggested they added a little more tomato sauce in case it was too dry. Initially I was really impressed.....Until I realised that they'd forgotten to add on my two favourite toppings - mushrooms and sweetcorn. Despite this big dissappointment I still enjoyed the pizza and it tasted decent. 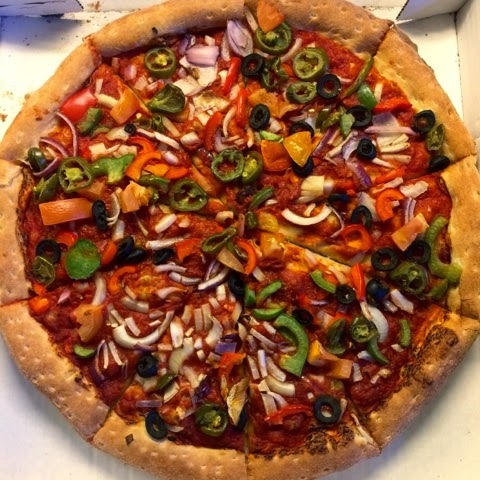 I'm not sure I would order again from Papa John's primarily because this original large vegan pizza would have cost me £22.29 if I hadn't found a 30% discount code online. With the discount it still came to around £15 and I know that I can create just as good, if not better, homemade pizzas myself for a fraction of the cost. All of that being said, it's great to know that there is a take away pizza service that does cater for vegans. Although it's not something I would order often, it will be great for those occasional take away nights with friends or when I can't be bothered to cook! Thank you for this :) was never sure if they had vegan things or not!